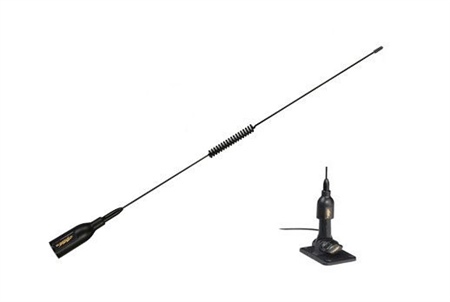 The Target VHF Antenna has a 3dB gain designed for any type of boat requiring a short overall length. It’s compact at 530mm / 20.9’ length and very simple to install anywhere thanks to the supplied ratchet mount. With its black flexible steel whip with helical design to avoid excessive whipping action, and integrated 580cm RG58C/U coax cable, it is renowned for being strong and safe. The product was of good quality and at a good price. I received my purchase fairly quickly and i would be happy to shop at gael force again.